The Remington F.A.S.T. fixed blade offers a versatile machete with a durable full-tang design. 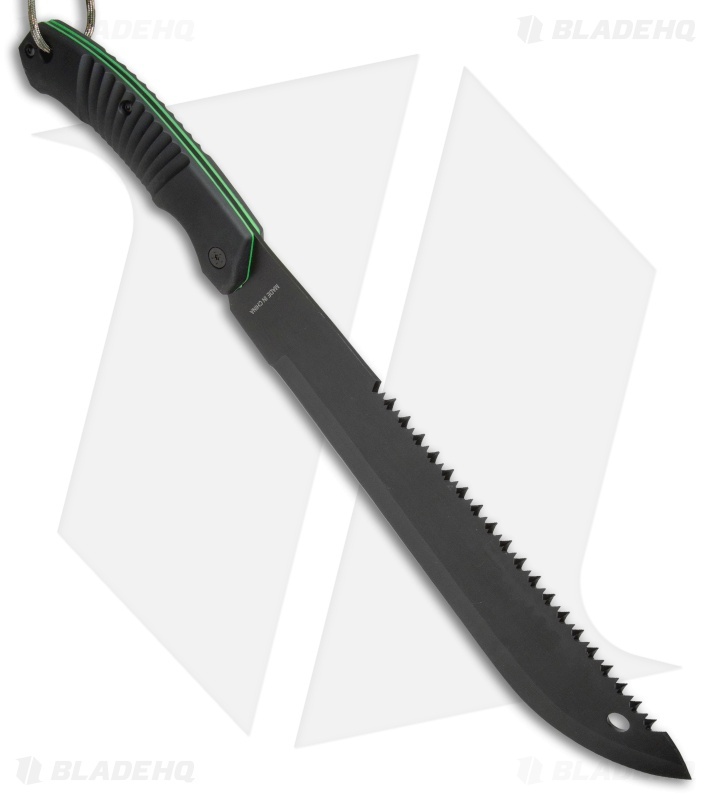 It has a large blade made from 1095 steel with a black oxide coating. The blade has a plain edge with a sawback spine. The molded polymer handle provides a comfortable grip in diverse environmental conditions. Item includes a paracord lanyard and a nylon sheath. 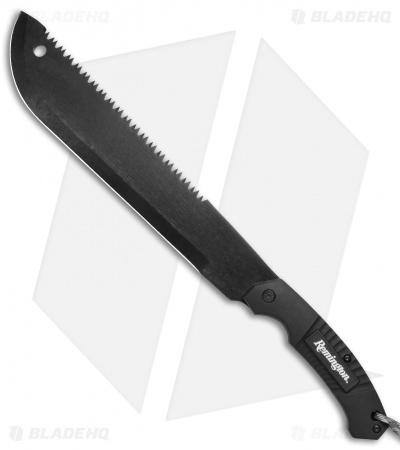 Stainless steel blade with a sawback spine provides a versatile cutting tool. Molded polymer handle offers an ergonomic grip. 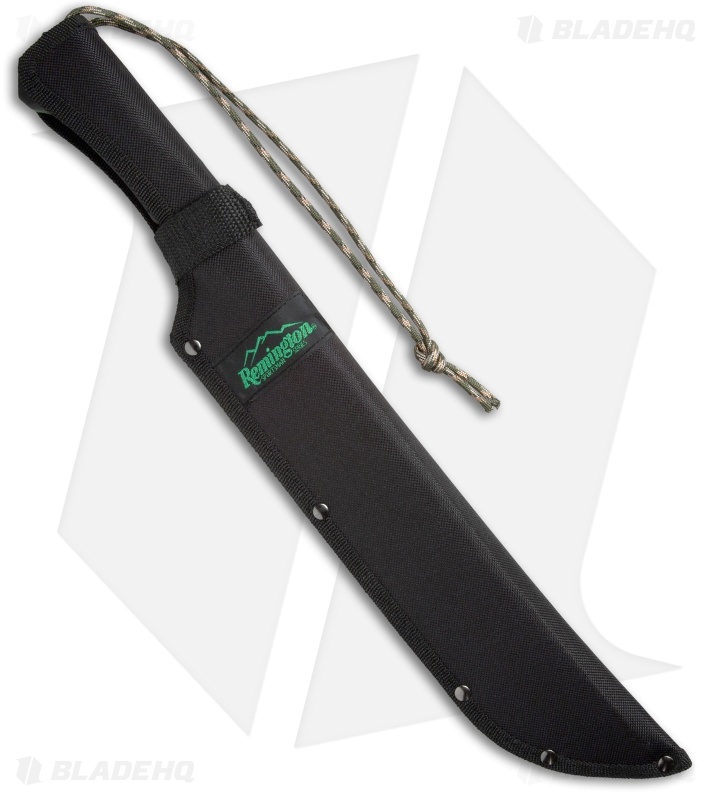 Includes a nylon sheath for comfortable belt carry.